A lot of Sheffield water ori­gin­ates from Redmires Reservoir, which was built in the 1830’s. Iron ore pipes were laid in the streets and lead pipes con­nec­ted to houses. There were also lead-lined cisterns. Sinclair White, in 1886, drew the author­it­ies’ atten­tion to the fact that lead pois­on­ing was more pre­val­ent from houses sup­plied by Redmires (i.e. those in Broomhill, Broomhall, Sharrow and Heeley) than those sup­plied from Strines, Agden, Dale Dike Reservoirs (Penistone Road, Wicker and Brightside). M.O.H. Sinclalir White advised people not to drink water that had been stand­ing in lead pipes and cisterns but to flush the water before drink­ing. Redmires water was very acidic and he advised that it should be brought into con­tact with lime­stone to reduce the acid­ity which was dis­solv­ing the lead from the pipes. Various enquiry com­mit­tees were set up in 1890, and though the evid­ence that lead from the pipes caused lead pois­on­ing. It was opposed by Edward Eaton, an engin­eer of the Water Board. The result of the enquiry was that the res­id­ents using Redmires water were liable to pois­on­ing and that cal­cium car­bon­ate, in the form of chalk, be added to the reser­voir water. There was a delay, due to mis­com­mu­nic­a­tion, vested interests and a change of the M.O.H. This res­ul­ted in a peak of 169 patients with lead pois­on­ing being treated in hos­pital and it was thought that around 2000 people in Sheffield had got lead pois­on­ing. The birth rate and fer­til­ity in Sheffield was at an all time low and the increase in pois­on­ing cases was due to a number of factors i.e. use of cheaper Spanish lead (more likely to dis­solve) and an explo­sion in house build­ing. In recent times, 2014/15 a place called Flint, in Michigan, decided to save money by using water from the local River Flint instead of a more expens­ive supply from Detroit. The Flint River water was very acidic and led to 10,000 cases of lead pois­on­ing and 12 deaths from Legionnaires dis­ease. Phosphates were added and the supply of water rever­ted to that from Detroit. Another source of lead pois­on­ing was in cider making, lead being added as a sweetener. In recent times the lead in paint was a hazard, tod­dlers chewed paint off lead-painted cots, caus­ing ill­ness. In the early 20th cen­tury, pills con­tain­ing lead were advert­ised to women to pro­duce abor­tions. Lots of adverts in news­pa­pers were used to encour­age the sale of these pills. Diachylon, a plaster made from plant juices and lead, was used to treat wounds but was com­monly used by women to bring on a mis­car­riage. Thus lead in water was a primary cause of dis­ease in many cases during the period between 1890 and early 1900’s. It is still estim­ated that 300,000 people around the world the world die from lead pois­on­ing. The talk was very well received and many ques­tions put to the speaker who was thanked for his inter­est­ing present­a­tion. Our speaker this week, Antony Taylor, was Professor of Modern History at Sheffield Hallam University, a spe­cial­ist in polit­ics and cul­ture. His topic could not have been more top­ical, as the cur­rent Brexit debate raged around us in Parliament and the media. Tony emphas­ised from the start that his talk was not about the pros and cons of leav­ing the European Union and that he would try to give an even handed inter­pret­a­tion of events. The present impasse, he argued, owed much more to long term traits in our (four) coun­tries’ char­ac­ter­ist­ics than to more recent con­cerns such as back­stops and con­trol of bor­ders. Brexit raised mul­tiple issues around British iden­tity and cul­ture and promp­ted ques­tions about the forces that shaped it. It could even be argued that British atti­tudes to Europe go back to the events of 1066 and the Norman Conquest; the influ­ences from which still res­on­ate on Britons today. Brexit had emphas­ised the frac­ture lines between London, its met­ro­pol­itan elite, and the rest of the coun­try, between cities and towns, sea­side and inland, the Celtic nations, young and old, gradu­ates and non-graduates. 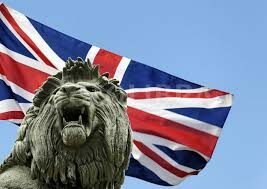 There was now a crisis of ‘Britishness’ and con­fid­ence in many British Institutions had waned. Many of our national insti­tu­tions com­manded the respect they once did. The BBC, the Civil Service and the NHS were under scru­tiny and even the Monarchy had had its dif­fi­cult moments. At the same time we have wit­nessed the rise of Celtic nation­al­ism. The 2015 General Election saw the SNP sweep the board in Scotland while the two main national parties emerged weaker with their pos­i­tion more fra­gile and divided. At the same time there has been a revival of ‘Englishness’ if not entirely of the ‘Jam and Jerusalem’ or rose-covered cot­tage, Morris dan­cing vari­ety. A recent poll showed 70% of those who self-identity as English voted for Brexit; 70% of those who self-identify as British voted remain, espe­cially people of Black, Asian and Minority Ethnic back­ground. Englishness, Tony thought, was a more vis­ceral iden­tity than Britishness, quot­ing from Daniel Defoe’s ‘Trueborn Englishman’ : “From this ill-born amphi­bi­ous mob began/that vain, ill-natured thing, an Englishman” and less the left felt neg­lected, from George Orwell and Billy Bragg. 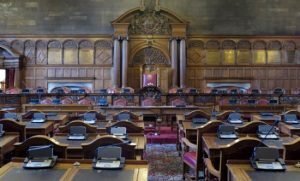 Nothing has become of a pro­posed Yorkshire Parliament that could argue its case along the lines of those in Cardiff, Edinburgh or Belfast. Tony thought that the absence of bind­ing, gov­ern­ing insti­tu­tions that could be described as truly ‘English’ were a factor in Brexit voting and issues of regional con­cern were not being addressed in devolved Government agen­das: there had been a rebel­lion against power­less­ness. Having com­pared the impact ‘Englishness’ and ‘Britishness’ on Brexit, Tony Taylor turned to events in our own life­time. The present crisis of British nation­hood, he argued, began in the 1950s and 1960s. Again, there were ref­er­ences to lit­er­at­ure of the period which our speaker con­tras­ted to that writ­ten only eighty years earlier. Sir John Seeleys “Expansion of England” (1883) and Joseph Chamberlain’s speeches with their pat­ri­otic talk of ‘Imperial fam­il­ies and mis­sion’ and ‘sons of Britain and Empire’ were matched against an era of with­drawal and decline, depic­ted in such offer­ings as John Manders “Great Britain or Little England?” and Kingsley Martins’s “Britain in the Sixties: The Crown and the Establishment” (both Penguins cost­ing 17.5p!). The sun was set­ting and winds of change were blow­ing Union Jacks down, not just over Suez but in over 40 colon­ies around the world. Aden in 1967 was the last ‘colo­nial war’. It is unlikely today that any Dominion Prime Minister would declare him­self, like Sir Robert Menzies, ‘British to the boot­straps’. But it was, per­haps, an American, Dean Acheson, who summed it all up in 1962 “Britain is a coun­try that has lost an Empire but not yet found a role”. And so we arrived at post-imperial Britain along with nos­tal­gic ‘Dad’s Army’ and Bruce Forsyth’s “Backing Britain” (both 1968). On the polit­ical front, Britain saw its future in Europe’s then Common Market finally join­ing in 1973. It has always been a frac­tious rela­tion­ship with a ref­er­en­dum pro­du­cing the narrow ’Brexit’ vote of 2015. Tony con­sidered that neither Europe nor the Commonwealth had been a sub­sti­tute for Empire, inter­est­ingly its loss of oppor­tun­it­ies being felt dis­pro­por­tion­ately in Scotland which could no longer feel part of the imper­ial endeav­our. Several prom­in­ent UKIP mem­bers such as Douglas Carswell, had an Imperial back­ground. Post-imperial Commonweath per­spect­ives how­ever, never entirely dis­ap­peared. Michael Shanks, in “The Stagnant Society” (1961) believed that entry into the EEC had to be coun­ter­bal­anced by con­tinu­ing pref­er­en­tial trade with the Commonwealth. That view per­sisted to this day but the world has moved on. Tony Taylor con­cluded his talk with a brief resume of other factors which might have impacted on the Brexit vote. These included broader and emer­ging trends in the modern world. Despite recent Russian resur­gence, the end of the Cold War in 1990 has led to a weak­en­ing of the old Atlantic view and the ‘spe­cial rela­tion­ship’. The US is now strug­gling to con­trols its interests and, in common with Europe, the rapid rise of China is an emer­ging threat. National cul­tures are being washed away by glob­al­isa­tion lead­ing to enfeebled state sys­tems that struggle to con­trol mil­it­ant region­al­ists from Spain to Scotland. Professor Taylor con­cluded his present­a­tion at that point and invited ques­tions. A ses­sion of about 30 minutes fol­lowed when a ride range of issues were dis­cussed, many being of the ‘how do we get back con­trol of our borders/money/laws’, ‘where do we go from here’ and ‘what hap­pens if’ ‘vari­et­ies. It was a most stim­u­lat­ing and inter­est­ing morn­ing, for which our speaker received warm applause. 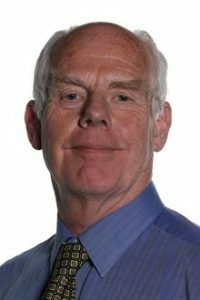 Chris Dorries has been Senior Sheffield Coroner since 1991. Sheffield has a high national pro­file with approx­im­ately 3500 cases (40% of all South Yorkshire deaths) repor­ted to the Coroners jur­is­dic­tion annu­ally. Half are referred for con­ven­tional in-house CT autopsy. 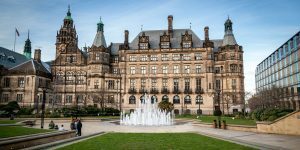 Sheffield is only one of three UK mor­tu­ar­ies with its own high dose CT scan­ner (a corpse is far more radi­ation tol­er­ant than a patient). Inquests are required in 600 cases on the basis of the autopsy find­ings. A huge reduc­tion in con­ven­tional autopsy fol­lowed the intro­duc­tion of CT. A sur­prise to me was that doc­tors are no longer allowed to be Coroners. Today’s talk described 4 murder cases illus­trat­ing a recur­ring theme of his­toric cases of women accused of murder and he opened with a verse from a song recor­ded by an obscure Liverpool pop group called Space “The female of the spe­cies is more deadly than the male”, aping a much earlier Rudyard Kipling poem of the same name. Each case was fully repor­ted in news­pa­pers of the times because of huge public interest in female mur­der­ers. Arsenic, a mining by-product and already known to the Egyptians in 1500BC, was used as a rather subtle murder weapon in the 17–1800s although more com­monly for this pur­pose on the con­tin­ent. It was favoured by females as no viol­ence was required to per­pet­rate, and it was feared by the para­noid. It was largely sold as rat poison, but also employed as a tonic in small doses. Ladies also liked it as an early form of wet wipes for skin and hand cleans­ing. Pharmacies had to record details of sales in the event of foul play. Industrially it was used in the pro­duc­tion of green wall paper. There was ready domestic con­tam­in­a­tion from touch­ing damp walls lined with said paper laden with arsenic. Acute arsenic pois­on­ing induces vomit­ing, abdom­inal pain, brain prob­lems (enceph­alo­pathy) and bloody diarrhoea, but longer expos­ure gives other nasty things such as skin change, heart dis­ease, pain and diarrhoea and even numb­ness and cancer, most fre­quently from drink­ing water con­tam­in­a­tion, but also expos­ure in mining, agri­cul­tural and toxic waste sites, and wait for it, tra­di­tional medi­cines! No wor­ries then; over­dose gives a slow death likened to “rats gnaw­ing at the insides and insuf­fer­able thirst”. This famous case illus­trated the role of the early cor­oner. She was hanged aged 31 in 1752 for the murder of her father. Disfigured from small­pox, suit­ors were few, but her father advert­ised a dowry equi­val­ent to £10000 today. Enter Captain William Cranstoun, a Scottish aris­to­crat, also rendered ugly from small­pox. It tran­spired that he was already mar­ried with a child in Scotland aiming to annul the mar­riage (or so he said). Mary’s father dis­be­lieved him and ten­sions rose between them. What happened next is unclear. Mary claimed that Cranstoun sent her a love potion (in fact arsenic) asking her to add the powders to father’s tea and gruel and gradu­ally he became symp­to­matic, as did the ser­vants who helped them­selves to the leftovers. All was revealed when the gritty remains in the teacup were iden­ti­fied as arsenic. Mary pan­icked and tried to des­troy the evid­ence (arsenic powder and love let­ters) but a house­maid res­cued some of the powder from the fire­place. Blandy, her father, then died, Mary absconded on the day of the coroner’s inquiry, was chased and caught by a mob. She was sent for trial at Oxford Assizes in 1752 and kept in irons. Although this was the first use of detailed med­ical evid­ence in a trial prov­ing arsenic as the cause of death, the trial lasted just a day and she was hanged 6 weeks later from a low slung beam sup­por­ted between two trees out­side Oxford castle prison (nowadays the Malmaison Hotel and very nice too). Her last request was not to hang her high for the sake of decency. Although it was a public exe­cu­tion, she escaped ana­tomic dis­sec­tion by the skin of her teeth after a par­lia­ment­ary decision to change the Julien to the Gregorian cal­en­dar. Thus eleven days were instantly deleted from the cal­en­dar in September 1752 and the Murder Act was brought for­ward, to pre­cede her exe­cu­tion. She was a beau­ti­ful but wild woman just 20 years old whose father was a famous Edinburgh archi­tect. She was charged with the murder in 1857 of a former boy­friend, Pierre L’Angelier, who came from Jersey. They met cov­ertly as lovers but the ulterior motive was his wish to marry into money. She then met another suitor and tried to break off the rela­tion­ship. He tried to black­mail her with the threat of show­ing her father the con­tents of love let­ters which expli­citly described their sexual exploits, an abso­lute poten­tial dis­aster in the 1850s. He threatened sui­cide so for a while she “two timed him” before fatally pois­on­ing him with arsenic-laced cocoa. Cocoa very nicely dis­guises the gritty tex­ture of arsenic in the bottom of the cup. Probus mem­bers were advised to be very wary if ever offered cocoa. There was a sen­sa­tional trial in the Edinburgh High Court and she was pub­licly executed at the Royal Mile gal­lows in 1857 in front of 50–100000 people. There were flaws in the prosecution’s case: she was not allowed to give a sworn state­ment her­self, L’Angelier’s first ill­ness may have pre­ceded the time she pur­chased arsenic, she bought green arsenic but it was white in the body, there was less arsenic than could have been in the “fatal” cocoa com­pared with the amount in his stom­ach, L’Angelier never accused her in front of his land­lady after inges­tion, she would have known the let­ters would be revealed after his death, and sui­cide had already been threatened by him. As a psy­cho­path, intent on sui­cide, he might have been fram­ing her. The case was covered widely and inter­na­tion­ally. A ver­dict of “not proven” was returned and she was dis­charged. She even­tu­ally died in New York in 1928. Mary Ann Ansel (22) was a maid in Bloomsbury. She had a men­tally ill sister in an asylum. She was engaged but there was no money for a mar­riage licence. She took out an insur­ance policy on her sister’s life; for 3d a week she’d get £11 on death. She baked a cake laced with phosphorus-based rat poison and sent it by post to the asylum. Her sister and asylum friends became ill but there was a delay in their assess­ment and treat­ment due to a con­cur­rent typhoid out­break at the asylum. Although the friends recovered, her sister inges­ted a lethal dose. Chris Dorries is a very enter­tain­ing speaker and reminded us that the right hand rail on the main stairs at the Cutlers Hall was his doing after a diner, worse for wear, fell down the stairs on the way to the lav­at­ory and was fatally injured. At the time there was only a left hand rail and our victim chose the wrong side to come down.